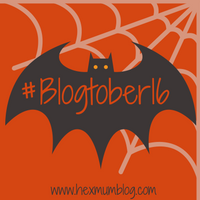 So, for day three of Blogtober I have been tasked with writing about what I’d do if I won the lottery. For arguments sake, let’s assume this is a whopping great big life changing amount of several million, rather than just a few hundred thousand (although that would be nice too; but it would change how I spent it). I’d start by paying off the mortgage. No, scrap that. I’d buy a new house. Don’t get me wrong, I do love our house and appreciate that we are extremely lucky to own it, but it’s a mid-terrace townhouse on a new estate so I’d definitely be looking for something detached, with a lovely big driveway with room for multiple cars that doesn’t involve having to play musical cars every five minutes. I’d also love a big garden with a nice seating/barbecue area. Oh and an extra bedroom or two. Once the house was taken care of, I’d look at lifestyle changes for hubby. He loves his job, but he does get stressed and it would be nice for him not to worry so much. Next I’d probably buy a nice new car. Nothing ridiculous, but I’d probably upgrade our Kuga (which I love) to a top of the range model for a bit of luxury! Then I’d start to think about family. I’d surprise my parents with a new camper van. They love their camper but they’ve never been able to afford a new one, so it would be nice to treat them. For my mother in law, I’d sort out a new kitchen. She really needs one but my father in law is notoriously stubborn (read tight!) and claims she doesn’t. So I’d take great delight in completely overruling him and giving her whatever she wants. Once all the materialistic stuff is taken care of, I’d turn to a bit of altruism. I’d definitely make a donation to kidney research as I have polycystic kidney disease and feel that, as important it is to find a cure for cancer, other charities don’t often get a look in. There is currently no cure for PKD; you essentially have to wait for your kidneys to fail, then go on dialysis and hope for a transplant. It’s an hereditary condition on a dominant gene, so unfortunately there’s a 50% chance that I’ve passed it on to Little M, as my mother passed it to me and her mother did to her. I know there are drugs beginning to emerge now that might make a difference so it would be nice to be in a position to further that progress. I’d also love to be able to do lovely random acts of kindness for total strangers, like paying someone else’s bill or giving someone a bunch of flowers. I’m sure there are lots of other things I’d do, but I think that’s a good enough place to start. It’s a shame I don’t play the lottery really, isn’t it?! "#Blogtober16 Day 4: A secret about me"
"#Blogtober2016 Day 2: An old photo of me"
I love the random acts of kindness but I’d thought about charities I think I’d have to do that too. A little bit of kindness goes a long way, and doesn’t have to cost anything, either. I so appreciate it when people help me with doors when I’ve got the pram, or say thank you when I’ve done something helpful for them. It sounds like you have some great plans….. I love the idea of a camper van for your parents. The donation to kidney research is so thoughtful. I’m so sorry to hear you have PKD I can see why you would want to donate to research. I think your random acts of kindness is lovely. This is something I dream about on nights when I can’t sleep…what would I do? I like that you clearly do some real thought into what you would do, and I love that you’d also do random acts of kindness. Thank you. I’m sure there are lots of other things I’d do like holidays and shopping, but I don’t think I’d waste it all; it would be too good an opportunity to have a sensible yet worry-free life.